Air101: Anti-corruption investigations into Transaero Airlines bankruptcy. Anti-corruption investigations into Transaero Airlines bankruptcy. The Russian Foundation for Anticorruption Investigations has launched an investigation focused on uncovering corrupt or fraudulent schemes possibly involved in the bankruptcy of OJSC Transaero Airlines. 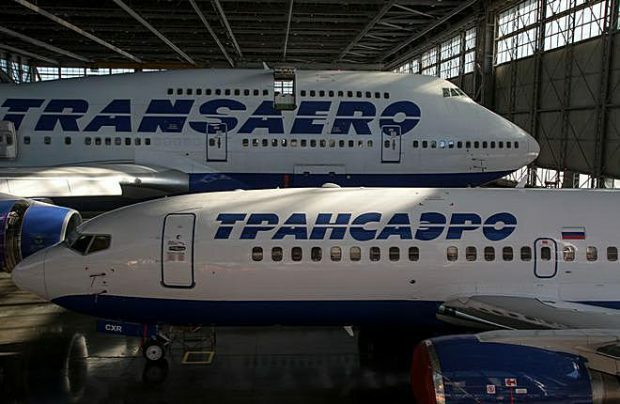 Transaero, the first private company approved for commercial flights back in 1990, has grown to become the second-largest airline of Russia and by 2013 had operated 98 aircraft with the annual number of passengers exceeding 12 million people. It ceased operations in 2015 due to financial insolvency and was declared bankrupt in 2017. The bankruptcy procedures, marred by numerous litigations and criminal cases against the company’s management in Russia and abroad, have been extended in March 2019 for another 6 months. The plaintiff claims that the Pleshakovs, who controlled 53% of the shares, have been syphoning funds from their own company and its partners long before the bankruptcy was declared in 2016, while in reality, the company was effectively insolvent as early as in 2012 with the net asset value negative. According to the claim the owners were involved in an “illegal asset withdrawal” - the self-payment of multi-million dollar dividends and bonuses, issuance of non-performing loans to the Transaero-affiliated companies (e.g., Cyprus offshore Jeimbo Cyprus Limited, which is 100% owned by the family), registration of transactions of purchases and sales of aircraft, engines and components through controlled offshore companies, as well as other questionable transactions. The bank contends that Olga Pleshakova has not handed over a number of accounting documents and reports to the bankruptcy supervisor, thus complicating the procedures and the company’s asset inventory. VTB also claims that the management of Transaero intentionally corrupted the airline’s financial reports to mislead its creditors, utilizing the services of local auditor LLC "RSM RUS", which allowed them to get unsecured financing until the end of 2015. According to The Russian Foundation for Anticorruption Investigations, having accumulated enormous debts to passengers, personnel, airports, leasing, service companies, banks and the government, Pleshakovs appointed Alexander Burdin to the CEO position. He continued withdrawal of assets from the company and "cleaning" of financial and business documentation until September 2017 under the supervision of the beneficiaries and with the assistance of the top managers close to the owners. As a result, a criminal investigation has been opened in Russia against him in 2018, and Burdin has fled Russia following the Pleshakovs, who now reportedly reside in Baky, Azerbaijan. Currently, Burdin is on the international wanted list, while living in the UK. Liabilities and debt to creditors exceed $ 3.7 billion, including debt of more than $1.5 billion to foreign investors. Companies from the United States, Great Britain, Germany, China, Ireland, Spain, Belgium, Netherlands, France, Denmark and Singapore, including major airport operators, aircraft leasing and maintenance companies were affected. 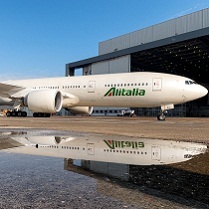 At the moment the prospects of the obligations to creditors being repaid are considered minimal since the former owners are believed to influence the course of affairs in Transaero. Evgeny Gurchenko, the lawyer representing Transaero’s owners, argues that his clients object to the bank’s claims and deny any wrongdoing. The purpose of the independent investigation by the Foundation is to uncover whether corruption and the fraudulent schemes were indeed the factors that played a role in the company’s demise and the losses incurred by the investors and partners. The Foundation is ready to cooperate with foreign companies that have suffered in the fall of Transaero and share relevant information with Russian and foreign law enforcement agencies and the media. “Bankruptcies happen, in this highly publicized case we want to get to the bottom of things that led to such an end and either rule out the criminal intent or otherwise says the Foundation spokesman Vassily Abramov. "We are looking forward for help and information from the affected companies."